Have you being playing a video game and now you can't stop humming the song? 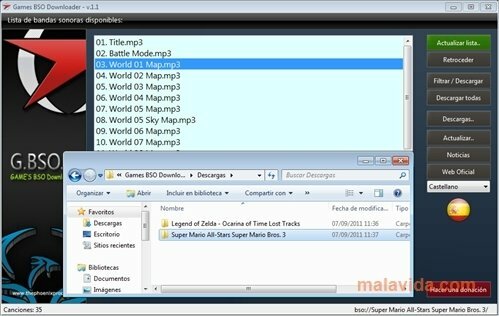 With Games BSO Downloader you will be able to search for the original soundtrack of any video game, choose the song that you like and download it on your computer. 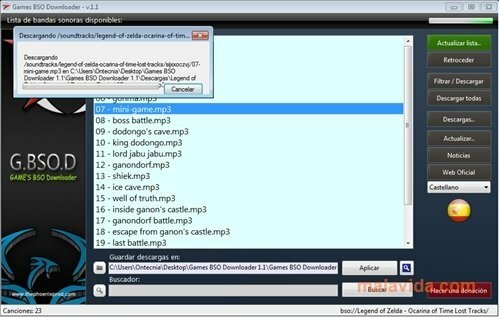 This program, also known as GBSOD, offers a large list of video games, old and new, ranging from the first part of the Silent Hill saga, all the Sonic collection to Legend of Zelda. 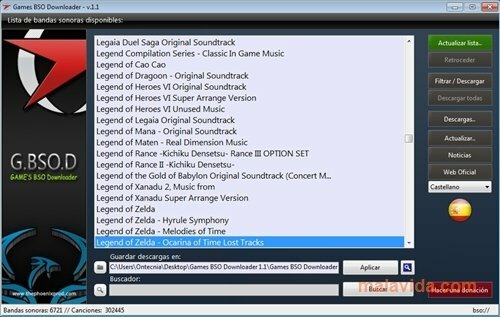 Games BSO Download doesn't only have the original soundtrack of an endless amount of video games, but also those that allow to download songs from a large amount of anime soundtracks, like Lupin III, for example. When you launch the application, you will be able to update the list so that it shows all the soundtracks available. 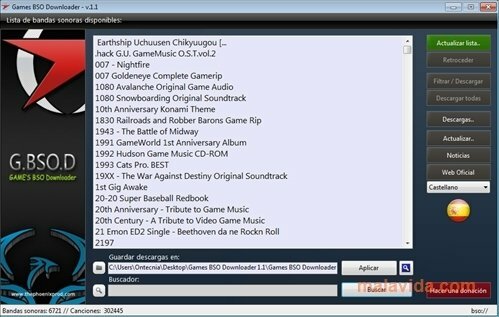 If you want to perform a specific search, Games BSO Downloader also allows to do so. Afterwards you only have to select BSO, and to click on Filter. You will see all the songs of the sound track. 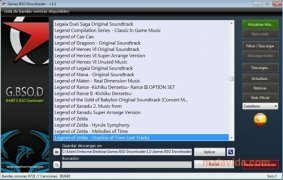 After you choose those that you like most, GBSOD will save them on your computer. It allows a specific search. It's interface is clear and is available in multiple languages. It has a large catalog of songs. 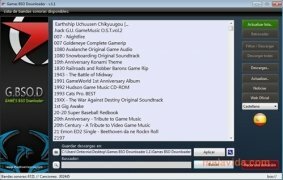 If you like the music from your favorite video games, download Games BSO Downloader on your computer. It requires Microsoft .NET Framework 2.0.